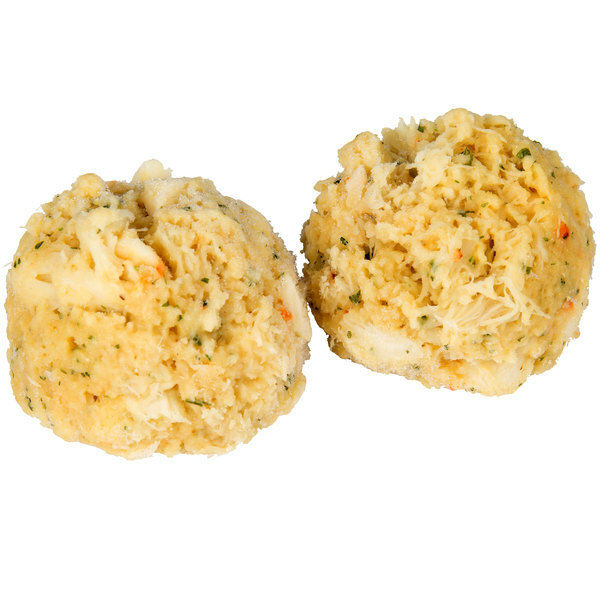 Packed with premium crab meat, Kaptain's Ketch 3 oz. 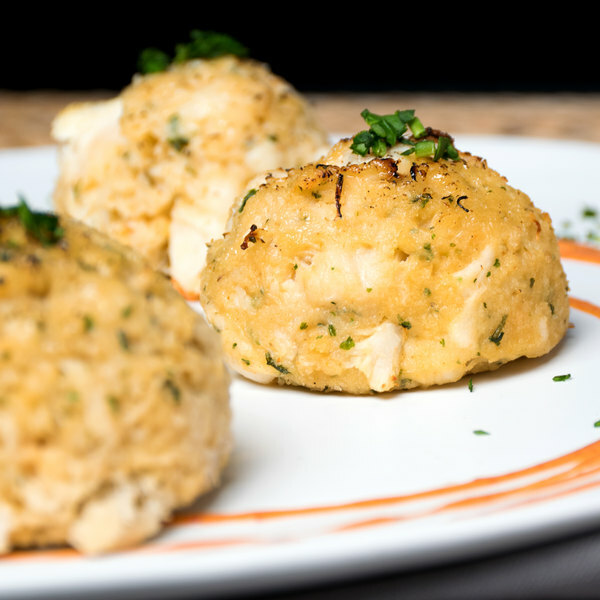 extra fancy crab cakes are melt-in-your-mouth tender and seasoned to perfection. 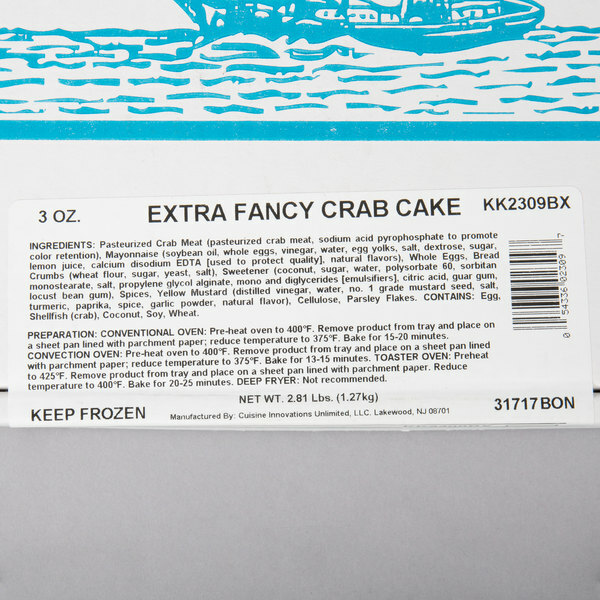 Each bite is a balanced blend of spiced bread crumbs and crab, making each cake soft and savory, packed with protein, and bursting with flavor. Deliciously golden brown in color, these cakes even create a beautiful presentation. Garnish them with sprigs of fresh parsley for an extra elegant touch. Because they're enticingly tender, the crab cakes pair well with a variety of sides, from creamy mashed potatoes to crisp, crunchy cole slaw. To prepare the frozen cakes, choose between cooking in a convection, toaster, or conventional oven. If cooking in a convection oven, preheat to 375 degrees Fahrenheit, placing the cakes on a pan lined with parchment paper. Bake for 12 to 14 minutes. If cooking in a toaster, preheat to 400 degrees Fahrenheit, and place the product on a lightly greased pan. Then bake for 14 to 16 minutes. Follow the same steps when cooking in a conventional oven. 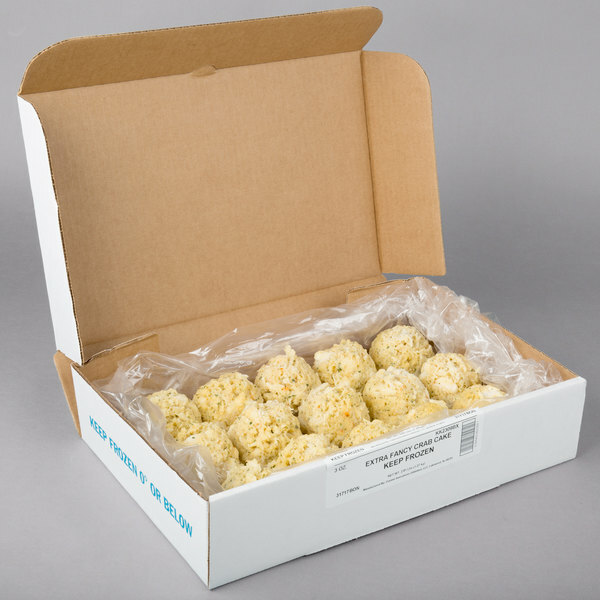 Regardless of what method you use, the crab cakes must reach an internal temperature of 165 degrees Fahrenheit. This indicates that the meat is thoroughly cooked and ready for service, at which point they're ready for plating. Founded in 1950, Kaptain's Ketch began as a solitary seafood store, which soon grew into a regional New Jersey chain. Today, it's a national seafood supply company, providing premium seafood products to foodservice operations across the country. From crab and lobster to shrimp and flounder, each product is carefully selected and rigorously sorted according to strict quality standards. Kaptain's Ketch is a part of Cuisine Innovations and strives to provide customers with the finest, safest, and most innovative seafood products in the industry.